Rough and natural come together with Annette Görtz and Black Crane. Ready for exploration in wild and rugged locations, yet stylish with texture and architectural form. The Black Crane rust linen shirt goes with backgrounds of places such as Zambia. 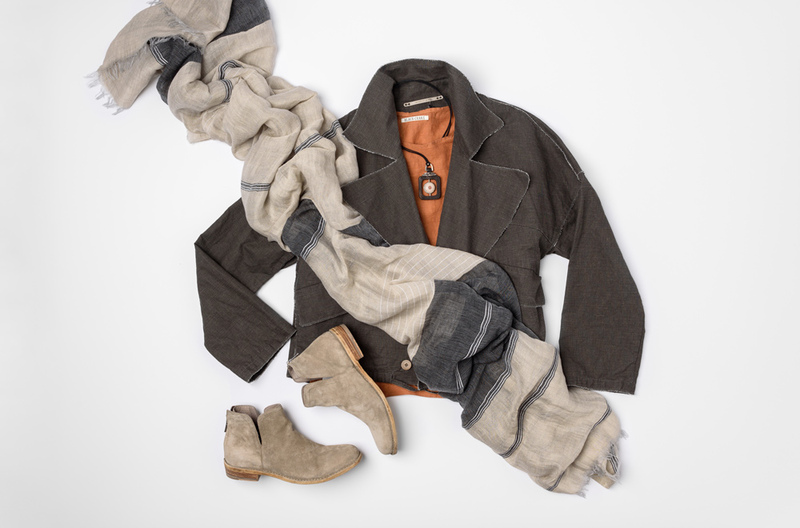 The neutral tones of Annette Görtz grey jacket and lightweight scarf easily blends with the dusty orange. The subtle warmth in the scarf is similar to the Officine Creative sand brown leather suede ankle boots. The vintage Lou Zeldis necklace is a detailed accent that brings the look together.